Somali migrants cross the U.S. border into Canada; figure skating Gold medalist Choi Da-bin of South Korea, performs during the closing ceremony of the Asian Winter Games; Portland Timbers midfielder David Guzman and Los Angeles Galaxy forward Giovani dos Santos vie for the ball. See more news-related photo galleries and follow us on Yahoo News Photo Tumblr. LITTLE ROCK, Ark. (AP) — Arkansas State University is finalizing plans to open a campus in Mexico. The president goes before a joint session of Congress Tuesday, and House Speaker Nancy Pelosi says he has nothing to talk about except how he has struck fear into people's hearts. About five years too late, Nokia has finally entered the Android market. It's probably not quite what you were expecting: the phones really come from Nokia's new Finnish owner, HMD Global. But hey, they're Nokia phones running Android, and they look half-decent, so who are we to complain?Things get better when you hear about the design decisions HMD has been making. Just a few small companies (and Motorola) have done in the past, HMD is shipping all three phones with pure Android, no gimmicks, no bundled apps, and no bungled re-skinning.The three devices are called the Nokia 3, Nokia 5 and Nokia 6. The specs and price increase along with the number, but all three handsets look distinctly mid-range. It starts with the Nokia 3, the most basic of the new devices. It's featuring a 5-inch display up front, generic quad-core processor and 2GB of RAM underneath, and 16GB of storage, expandable with a microSD. The design looks a lot like the Nokia we've recently become familiar with: curved edges, a polycarbonate frame, and most of the flair coming from color. 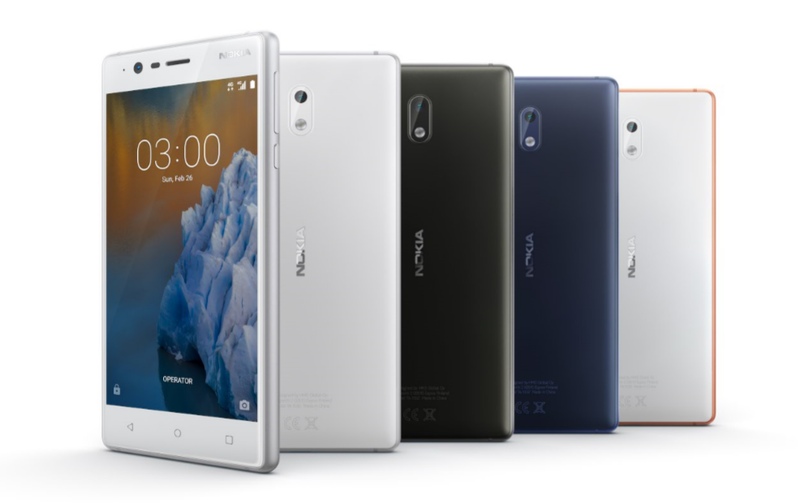 It's not a bad design, normally, but in a world of aluminum unibody, it's sorely in danger of feeling cheap.That's exactly what the Nokia 3 is, though, as it should be available in the spring for around $150. Just like the new 3310, there's a range of colors for you to choose from. 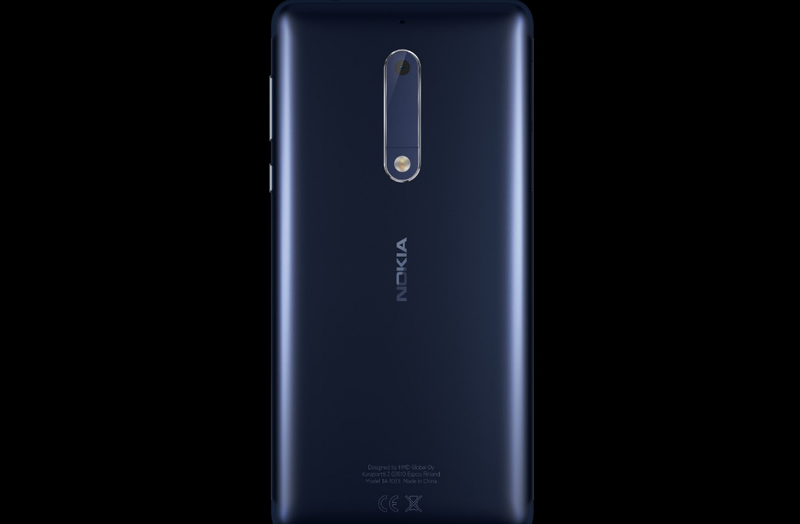 The Nokia 5 looks like a small step up in price, but hits a much more attractive place with the specs. Ther's a 5.2-inch display, 2GB of RAM, 16GB of storage, and a Wualcomm Snapdragon 430 underneath. That's a decent amount of power for a mid-range Android device, and especially given that it's running a naked version of Android with no bloat, should be enough for most day-to-day use.The polycarbonate body is also upgraded to aluminum, which helps with a more premium feel. It still looks to have a lot of bezel compared to this year's crop of smartphones, but at the price of the 5, you can lett that go. It should be shipping in Q2 for $200, which is a steal for a serious low-end handset these days.There's also one other piece of classic Nokia to be found in the 5's hardware: a 13-megapixel camera at the back and 6-megapixel front-facing camera. Provided that these are good lenses and not just gratuitously thrown on there to save the spec sheet, that could mean that Nokia's legendary mobile cameras are back for good. Finally, we've got the Nokia 6. It many ways, it's similar to the 5: aluminum body, Snapdragon 430 processor, but the screen has been upgraded to 5.5-inches and the RAM to 3GB. The camera also gets a small bump to 16 megapixels. There's also a limited edition available with 4GB of RAM and 64GB of internal storage, if that really catches your eye.It's still not priced anywhere close to flagship smartphone pricing, with the regular version running about $250.None of these phones are going to change the world or compete with a new iPhone, but it looks to be a solid first step back into the phone-making business for Nokia. 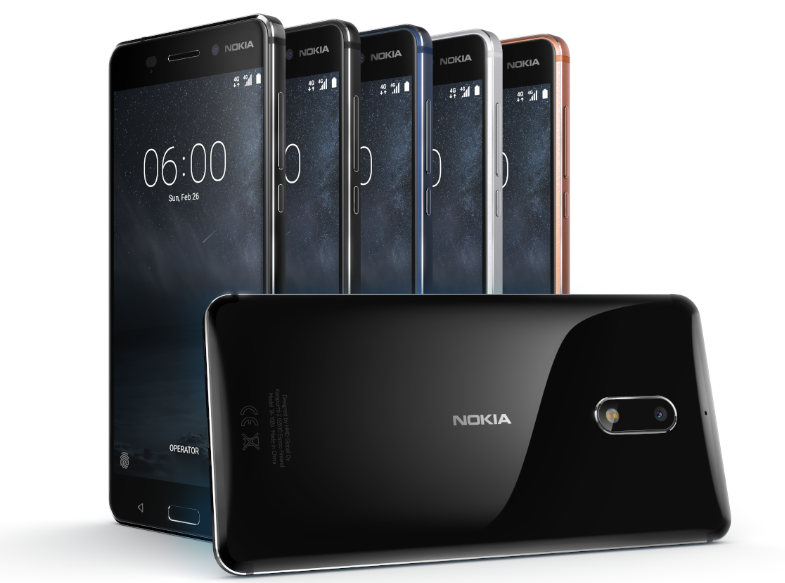 We'll have to wait and see how sales actually go -- for low-end phones like these, it will probably depend if they can get into any carrier retail stores -- but the future looks a little brighter for Nokia after today. Speed through the highlights from the latest "This Week." Jack Kirby’s Most Anticipated Artist’s Edition Is Coming!